Our first round of funded projects is announced! Twelve groups around the city have been offered a total of £53,193 to undertake a range of energy projects in local communities. The funding has been offered as part of the first round of our grants offer. The successful projects were picked from 32 submissions by a judging panel made up of Bristol City Council representatives, community leaders, local energy partners such as Bristol Energy Network, Age UK Bristol, Bristol Disability Equality Forum, Black South West Network, Bristol Energy Co-operative, UWE and Quartet Community Foundation. The grant programme is targeted at not for profit organisations based and working in the Bristol area. Non-energy related groups are encouraged to apply to broaden the reach of energy projects to new communities, resulting in applications from numerous equalities-led groups, community groups and even a primary school. The judging panel prioritised submissions by equalities-led groups or organisations working in partnership with them, as well as proposals by groups representing communities most affected by energy issues such as fuel poverty, older or disabled people, BME and migrant communities. These are groups which have been underrepresented in the energy movement. 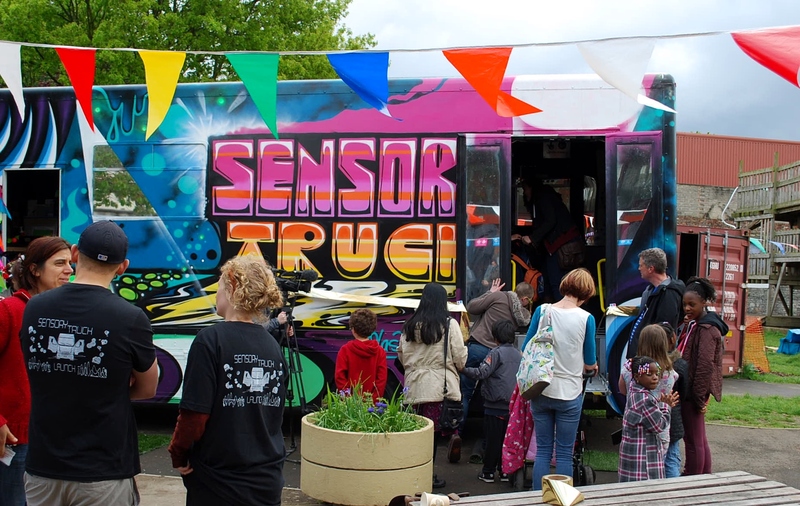 One of the first projects to receive funding is being led by Bristol Playbus, a local charity who will add solar panels to their “Sensory Truck”, a mobile sensory environment for children with a disability or life-limiting illness. The solar panels will mean that the equipment on the truck can work without the use of diesel generators and help the young people to get a better understanding of renewable energy while also reducing carbon emissions. We’ve set up a handy map of our community energy projects on our projects page. “We’re working hard to create a community energy movement in the city – an inclusive approach to support and enhance the activities of the local energy scene. Energy is still considered a distant issue for many people but affects us in different ways – whether it’s fuel poverty or a desire to use cleaner energy. The role of community groups is so important in addressing the specific needs of particular groups and this is why we’re so pleased to see such a broad range of groups engaging with energy efficiency and renewable energy projects through the Bristol Community Energy Fund. We launched the fund in November 2015, calling for a first round of grant applications in February 2016. Local groups were encouraged to submit applications by the end of March to receive grants of up to £10,000.